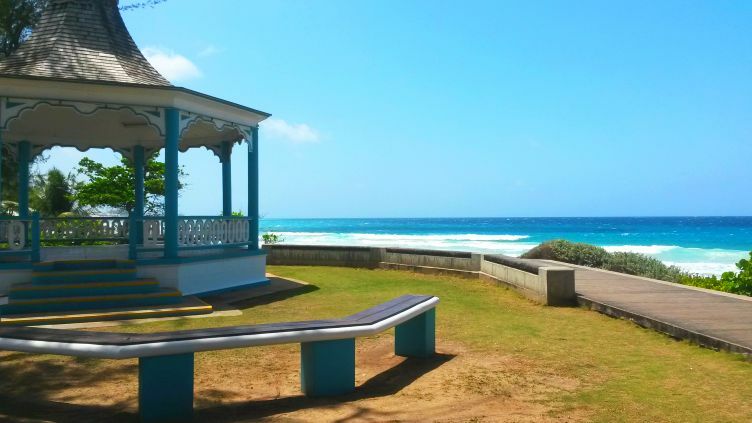 Hastings Rocks is located in the parish of Christ Church on the south coast of Barbados. This area enjoys spectacular views of the ocean and has always been a favourite spot for fairs and outdoor performances. In more recent times, the creation of the south coast boardwalk has revitalized the Hastings Rocks. The boardwalk runs directly behind the Hastings Rocks and leads down to a lovely beach. The elevation of the Hastings Rocks has been lowered to allow road traffic to enjoy this wonderful view. 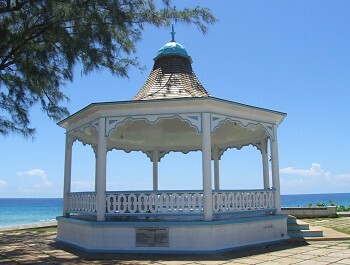 At the heart of the Hastings Rocks is the bandstand, where the sweet sounds of the Royal Barbados Police Band are often heard during open-air performances. The bandstand also offers a great view looking up and down the boardwalk. Blakey's Bar & Restaurant is located at the western end of Hastings Rocks. Entertainment is held here throughout the week and it's a favourite after-work meeting spot for locals. At the eastern end of Hastings Rocks is a children's play area and washroom facilities. The vacation condos at South Ocean Villas offer stunning ocean views and direct access to the boardwalk.